The Lightest Poncho Tarp Ever Made. The Cuben DCF Poncho Tarp is a super ultralight minimalist poncho, tarp shelter and pack cover! 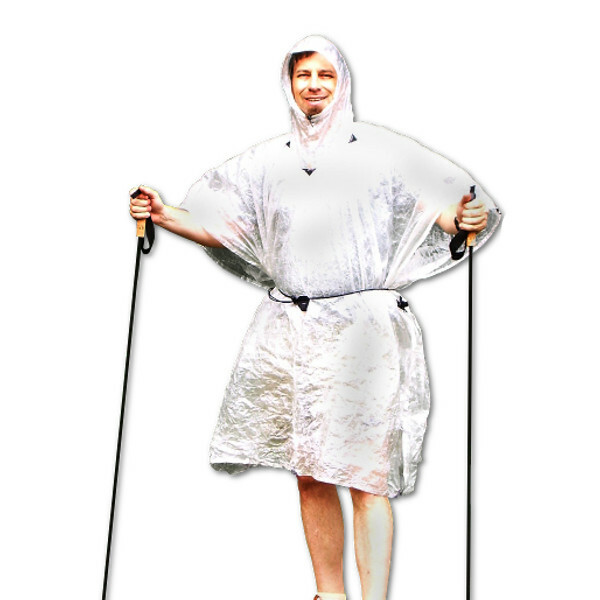 This Super Ultralight rain poncho is for experienced ‘Super Ultralight Hikers.’ It is much smaller and less durable than the Silnylon Rain Poncho or the MLD Pro Rain Poncho. If you expect significant rain or off trail hiking, this may not be the poncho to choose. However, if you are looking to cut your pack weight to the absolute minimum, this is IT! For more photos, and to see this product in action, check out BACK PACKING LIGHT. 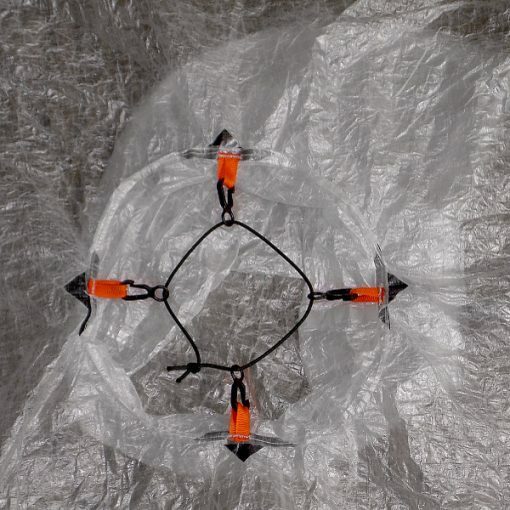 • Hood has four reinforcement points to aid tight pitching and to distribute stress on the hood hole in Tarp Mode if desired. Hood has approx + 0.2 oz inside stabilizer bungee (pictured) that is used to prevent stretch in ‘tarp mode’ if desired. Many users will not need this feature. Note: No Tarp Pole grommets used in the tie-outs to save weight. CF Poles are optional, and guylines can be quickly girth hitched to the pole tips if desired. For coverage interpolation the Cuben DCF Poncho Tarp is pictured on a rugged 6’1″ model wearing a small pack. 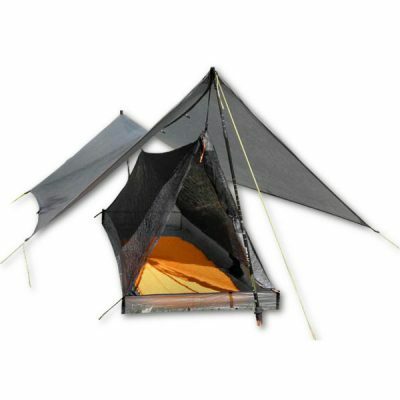 Optionally, you can order a set of the very best Carbon Fiber tarp poles available! These poles are not just a simple pultruded, or wrapped in one direction tube, like cheaper CF poles – they are 0.355 outside diameter multi-ply, multi-direction carbon fiber construction. Tall enough for a 6+ footer to sit up under a tarp, but short enough to avoid an unstable tall wind profile. 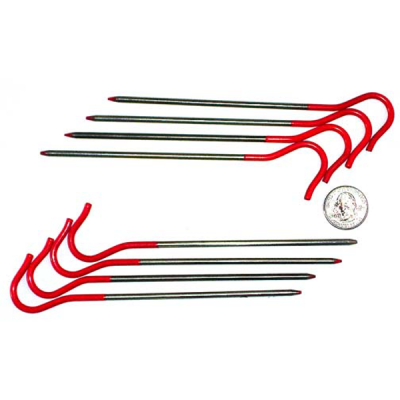 Add 8 Titanium Skewer Stakes to your purchase. Stakes are 6.5 in | 16.5 cm tall and each stake weighs 0.27 oz | 8 gm. 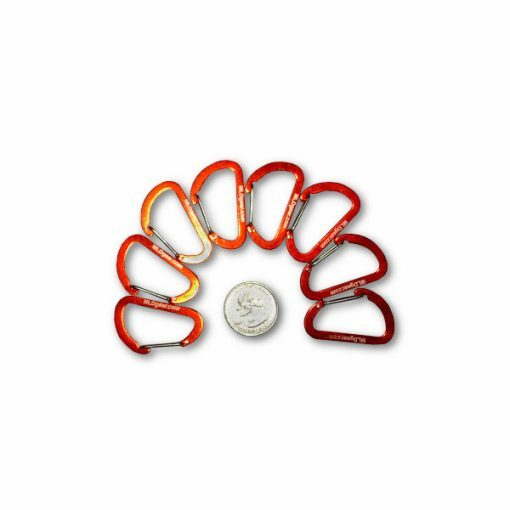 Add 8 Superfly Mini Biners to your purchase. 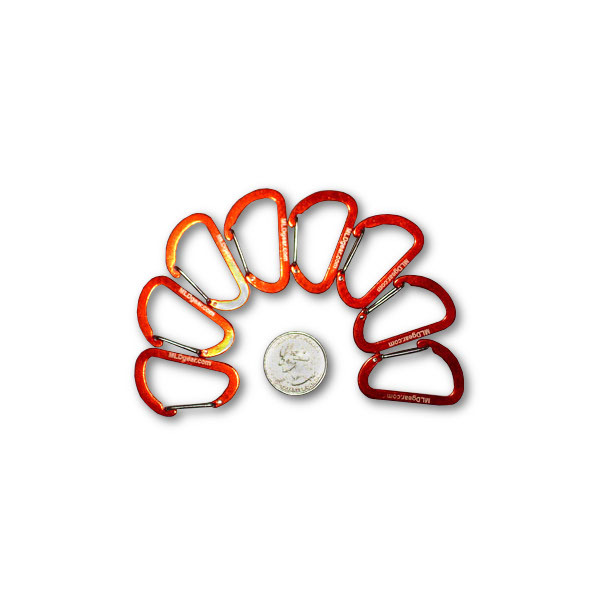 Mini Biners are 0.1 oz | 3 gm each. 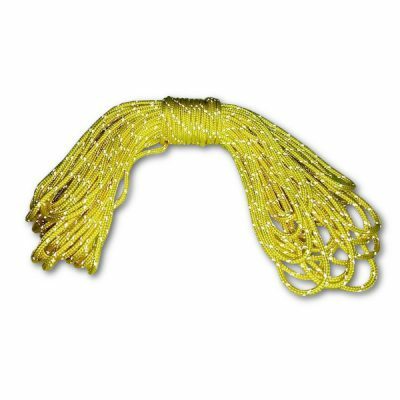 This product includes 40′ of our regular, non-reflective Pro Guyline in your choice of Yellow or OD Green. You can upgrade this to 50′ of 2.7 MM Reflecto Pro Guyline which has properly spaced reflective markers that are bright enough to see, without making your shelter look like that obnoxious house on your block with the out-of-control Christmas lights.